Leaders in the South Bay community would be happy to host Amazon’s new headquarters. But their real goal? To be taken seriously by tech companies. City officials were offering all of this without any certainty of what Amazon might actually bring in exchange. But the offer was not meant for Amazon, necessarily. The 50-page glossy that was produced for company executives is part of a decades-long effort to become more than a bedroom community, where residents only return to sleep, and promote Chula Vista instead as a place for tech companies to plant roots. The city’s Economic Development Director Eric Crockett said officials hadn’t done the research upfront to know whether the giveaways would pay for themselves, because they decided not to spend money on consultants until knowing for sure that Amazon would select the South Bay as its new home. “Getting them is a big win, but it’s about more than Amazon,” he said. The company has delayed the first round of eliminations from the 238 proposals it received until early 2018, meaning officials will know any day if their pitch was good enough to keep going. Chula Vista was one of four local locations submitted by the San Diego Regional Economic Development Corporation, and the only city willing to give up something tangible in exchange. Whether or not the region advances to the next round, Chula Vista leaders have made clear that their community — which has struggled to spark largescale job growth — should consider the free publicity a victory, as evidenced by at least one recent report. “This book, regardless of what happens, should be on the desk of every commercial real estate brokerage company in San Diego County,” former City Councilman John Moot urged officials, referring to the Amazon promotional materials, at the City Council hearing approving the bid. Officials had been working on those materials five months before Amazon announced its new headquarters sweepstakes, and quickly pivoted to accommodate the company, Crockett said. In addition to its request for economic development incentives, Amazon provided the world with a list of its geographical, cultural and infrastructure preferences in early September. Company executives, for instance, want to be in a metro area with more than one million people, close to a highway and a few minutes from an international airport. Municipalities across the country have lined up with unprecedented giveaways. Chicago has offered to give back between 50 and 100 percent of the income taxes incurred by Amazon employees to the company. Fresno offered to give Amazon joint control over 85 percent of the tax revenue generated on public projects. New Jersey would forgo $5 billion worth of tax incentives while Newark, the most populous city in the state, threw in an additional $2 billion. Amazon is promising to hire 50,000 full-time employees with an average annual compensation package worth $100,000 over a 10-to-15-year period. It expects to begin work in 2019 and ultimately take up 8 million square feet. All of which Chula Vista can provide through its designated innovation district and Millennia master plan, which is being developed in partnership with private interests. Gasps could be heard inside the chambers. Mayor Mary Salas appeared shaken, but she waited until Chestnut was done speaking to respond. “You said we can’t win, but I think we’ve already won,” she told him. With hundreds of acres of readily-developable land and officials willing to make the process as easy and cheap as possible, Chula Vista is poised for massive growth. In early 2017, officials launched a PR campaign to improve the city’s image as a safe and enjoyable place to visit, and the early results suggest the advertisements placed around San Diego County are working. Attempts to attract a four-year university — including state legislation aimed at studying the demand for higher learning in Chula Vista — have been in the works since the ’80s. The potential growth is not limited to the city’s eastern side. The Bayfront is one of the largest waterfront properties left on the West Coast and plans — after decades of efforts to make environmentalists, developers and bureaucrats happy — are in place for a 535-acre revitalization. Even then, the projects have been slow to get off the ground. “A lot of people, including elected officials, thought everything was going to change rapidly, but it didn’t happen,” said former Economic Development Director Michael Meacham, who also oversaw the conservation and environmental studies, and retired in 2015. Meacham’s career with Chula Vista spanned 21 years, during which time he witnessed numerous setbacks, including legal battles and a severe recession. So, he understands why the current leadership would be anxious to throw incentives at companies. Despite being the second largest city in the county by population, Chula Vista has ranked near the bottom of sales tax collection on a per capita basis, Meacham said. Most of the workforce commutes, buying food, gas and other goods outside the city limits. Specifically, the city offered Amazon 30 years of property tax relief worth as much as $300 million, as well as the land encompassing its innovation district, valued at $100 million, at no cost. Officials promised to process discretionary design reviews for later phases of the development within 90 days and to give Amazon a say in targeting and selecting a university for the area. 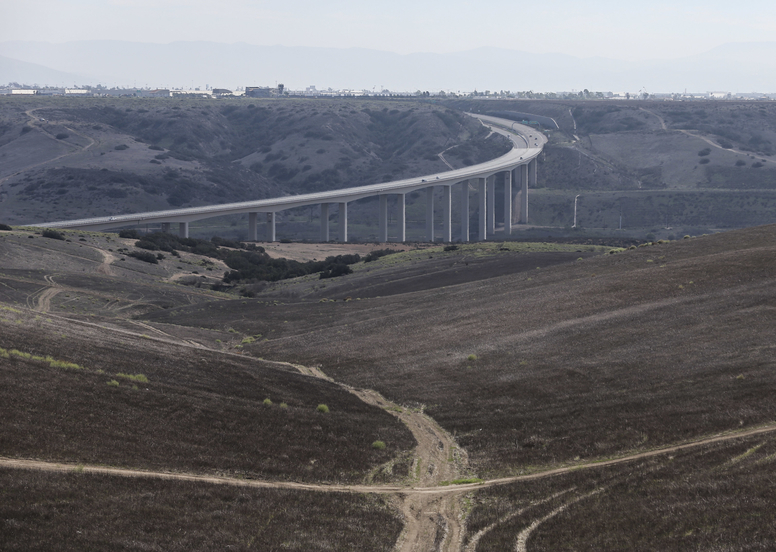 The city also offered a $10 million transportation development impact fee credit, thanks to a $20 million grant that the federal government previously awarded to Chula Vista for bridge projects. It essentially waives the money that a developer would normally be required to provide for those projects, opting instead to use other federal dollars. Criticism of economic development incentives has become widespread and mainstream in recent years. Art Rolnick, a University of Minnesota-based economist who’s been tracking incentives for decades, described Amazon’s public bidding war as a form of economic blackmail that distorted local markets by forcing municipalities to pick and choose one company at the expense of other taxpayers. “It’s corporate welfare,” he said, complaining that the benchmarks to hold companies accountable for the job promises they’ve made are often weak. In an interview, Salas defended the incentives by noting that the money wouldn’t come out of the general fund and that no capital would be advanced. “We’re not giving away the store,” she said. Rather, the incentives would be based on the value Amazon is offering to bring to the region, although that value remains unclear. Salas said she knows, from her experience working in the California Department of Trade and Commerce, that often the jobs and investments promised by companies don’t materialize. But she also highlighted new hotels in the works, as well as existing drone- and automatic car-testing facilities, in Chula Vista. So what happens if Amazon chooses Chula Vista and city-hired consultants figure out the returns aren’t worth the giveaways? Salas said she hadn’t thought that far ahead. San Diego Subsidizes Transit Less Than Most U.S. Cities. That's an Opportunity.